This Monday just gone, a new interview that I recorded with the lovely Scott Laidler went live on his podcast. Scott is a Health Podcaster / Health & Fitness Columnist for @TelegraphMen , and personal trainer To The UK Film industry transforming the physiques of Oscar winning actors, Paralympic athletes, and military service personnel. He provides Online personal training and health centred life coaching services worldwide. 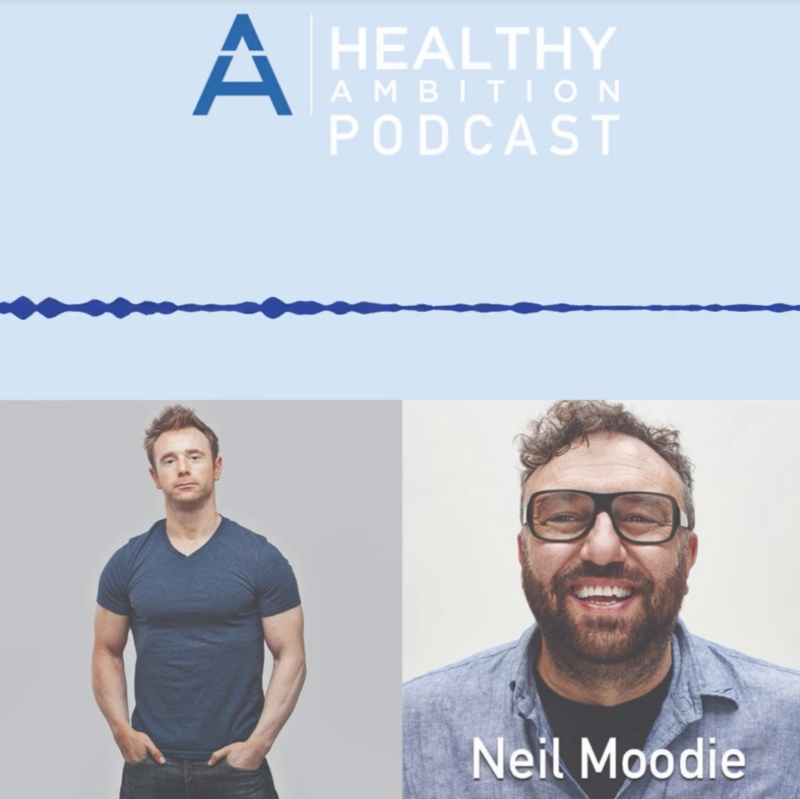 His podcast series is titled “Healthy Ambition” where Scott interviews high performing individuals about their journey to success, daily rituals and performance hacks. Scott had heard about my interview with Jamie Day for Man Talk where I had talked about my struggles with anxiety and mental health since my teenage years. He said he wanted to discuss with me further about how I overcame those struggles have been able to also have a successful career. So here it is!! I feel honoured to have been asked by Scott and it was privilege to do the interview with him. I hope what I’ve discussed will help others in the future. Click for HERE for full podcast interview. Below is a small excerpt from the interview. Hey guys, on this show I am joined by world-renowned hairstylist Neil Moodie. Neil has worked with many of Hollywood's leading ladies and the most famous models and brands in the world. We discuss Neil's long battle with anxiety and how establishing congruence in ones personality helps to manage it, we also explore triggers and origins of anxiety and how they can be linked to sexuality, parental issues and unexplored inner work. We also speak about how, as a creative, you can follow your instincts, take the right risks and establish yourself in the creative fields. My guest on Episode 5 of “In Bed with Neil Moodie” is former Vogue Fashion Director turned Designer, Fashion Stylist and all round entrepreneur. 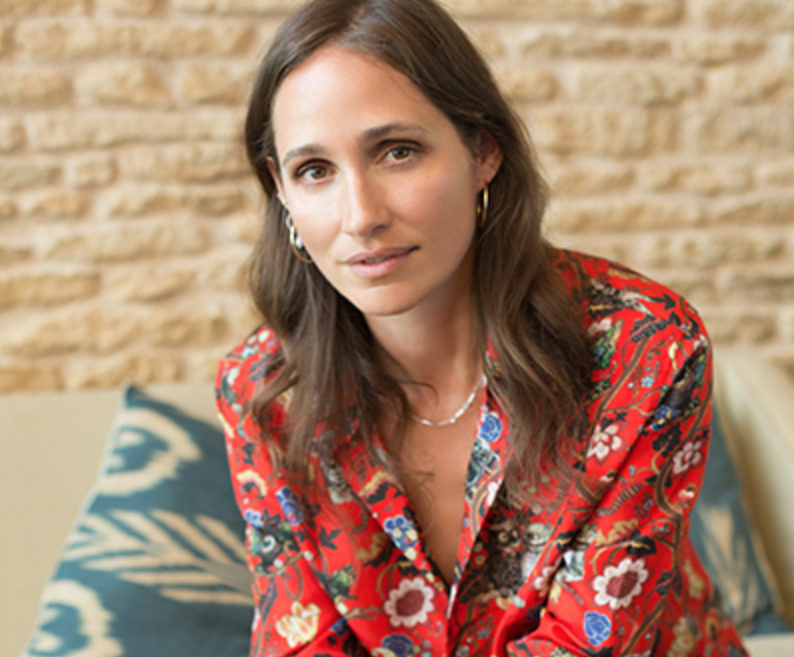 Born and bred in Notting Hill Gate, West London, Lucinda was introduced to fashion very early on by her mother who was very crafty and one of her skills was dressmaking. She began studying art at Hornsey college in London, but started her fashion journey when she decided to make and sell her own earring designs at Camden Market, eventually working her way up the ranks of the top editorial fashion magazines. Lucinda became the fashion Director of British Vogue for 25 years, plus she consulted on the brands Prada and Marni in their early days, introducing both brands onto the worlds fashion map, eventually leaving Vogue in 2017 when the editorship changed. She has now set up her own fashion design company called Colville and is also about to launch another online venture later this year. I met Lucinda in her West London home where she’s resided for over 30 years We talk about her amazing career to date and some of the fun stories along the way, how she’s navigated her way through the fashion industry to now running a business after being employed for so many years and also what’s around the corner for this amazing fashion entrepreneur. My guest on Episode 4 of In Bed with Neil Moodie is 90’s supermodel turned nutritionist and naturopath Rosemary Ferguson. 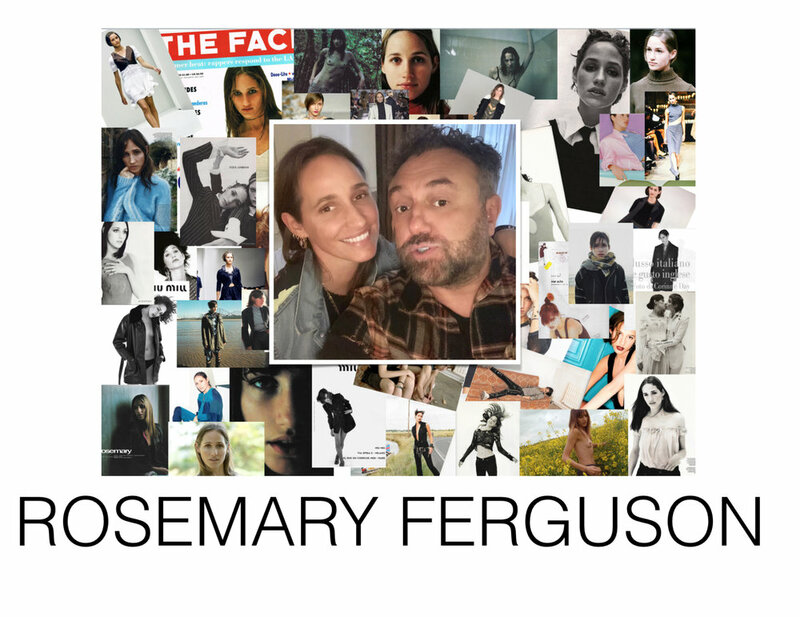 The super lovely Rosemary Ferguson, who I spent a lot of time with when I was starting my freelance career, was discovered in McDonalds aged 15 by Iconic photographer Corinne Day @corinnedayofficial and went on to become one of the biggest Supermodels of the 90’s and 00’s. 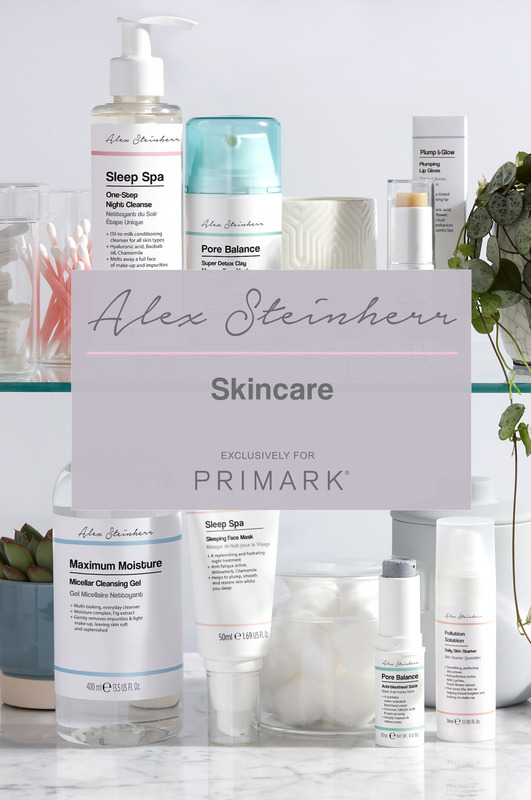 Rose talks about her rise to modelling fame, “Heroin Chic”, living in New York during September 11th 2001 and how that changed her life course, being married to artist Jake Chapman, their children, her transition into becoming one of the UK’s leading nutritionists and naturopaths, nutrition, mental health & CBD oil, plus all her current business ventures which includes the launch of FIlth burger. She discuses what makes her entrepreneurial and think outside the box and where exactly we can get our hands on one for those FIlth burgers. 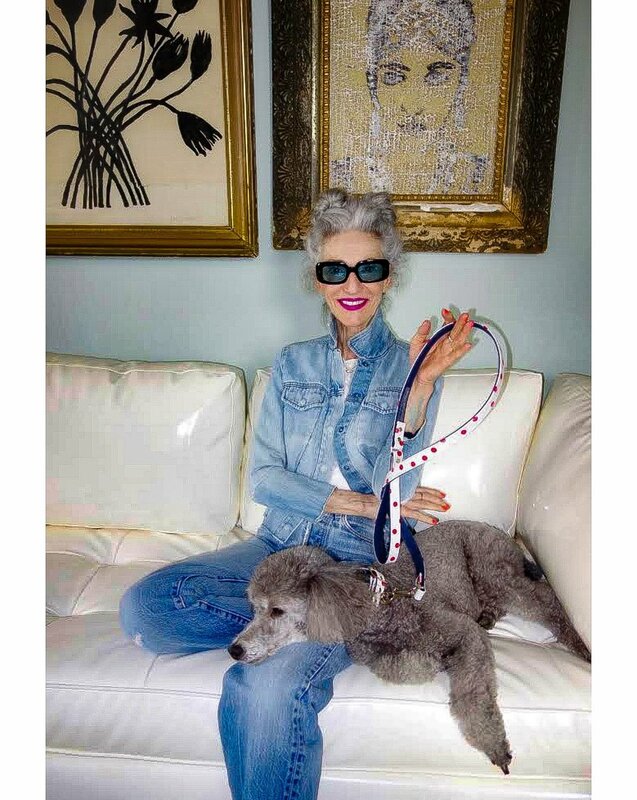 New York born Linda is a former model, fashion stylist and beauty brand creator, who recently launched her new range of dog accessories called Linda & Winks . 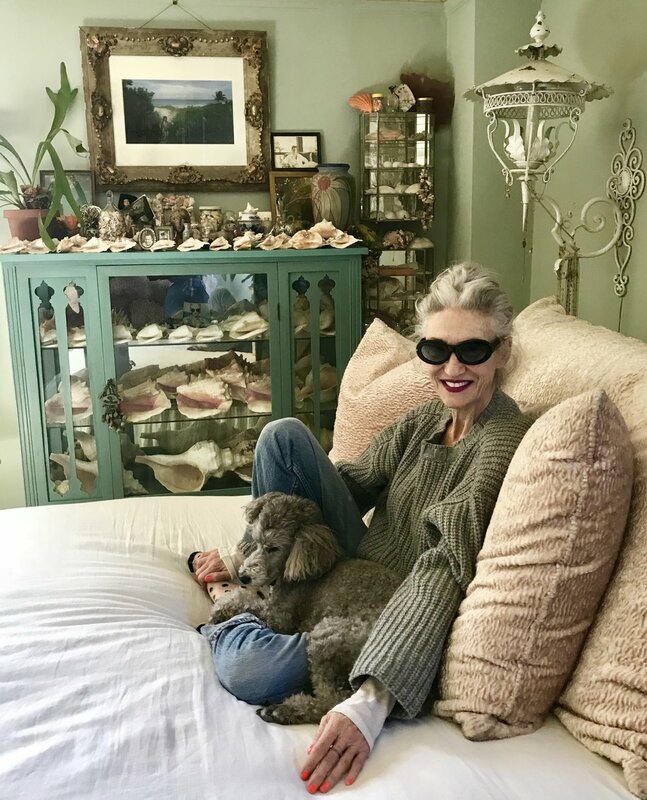 I went to visit Linda in her New York apartment, where we sat on her bed and chatted about growing up in New York, becoming an established clothes stylist, her transition from that into making/creating a world renowned oil and then starting her new venture Linda & Winks. THIS, THE 3rd EPISODE OF MY 3 LAUNCH EPISODES IS WITH THE AMAZINGLY TALENTED, FUNNY AND FABULOUS MAKE UP ARTIST VAL GARLAND. THIS VERY FIRST LAUNCH EPISODE OF MY 3 LAUNCH EPISODES IS WITH MY GREAT FRIEND AND AMAZING MAKE-UP ARTIST WENDY ROWE. Born in Essex, UK, Wendy talks to me about her aspirations as a young girl, dreaming of living and working in London, how she navigated her way through many jobs before settling for ‘make-up artist” as a career, how she moved to Paris and New York to further her career, and eventually went on to launch her own cold press juice, publish her own book, Eat Beautiful, become the creative consultant for Burberry Beauty and go on to consult for other brands.